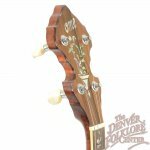 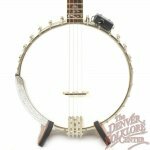 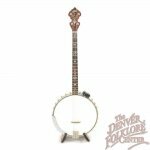 This is one exceptional used Custom Ome Tenor Banjo from the good folks up the road at the Ome Banjo Company. 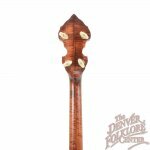 Highly figured maple is matched with a Brazilian rosewood fingerboard and peghead overlay and adorned with wonderful abalone and mother of pearl inlays. 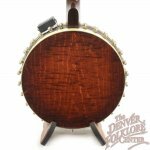 This instrument is in excellent condition and only shows a few light signs of play in the form of fingerprints on the hardware, some scratches on the head, and few minor scuffs. Tonally, the banjo is strong and present as one would expect an Ome to be. 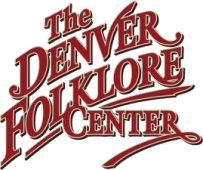 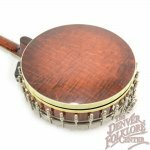 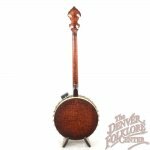 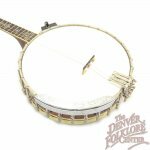 We are proud to offer this fine instrument and believe it would make any player looking for a quality 4 string banjo proud.